Lone monk amidst the visiting worshippers, Shwedagon Pagoda. Over the course of the next 12 weeks, I’ll be doing a series of posts featuring 5 Essential Sights for the Grand Tourist’s Itinerary in each of the cities covered in the Grand Tour. I begin, this week, with the city of Rangoon – today’s Yangon. 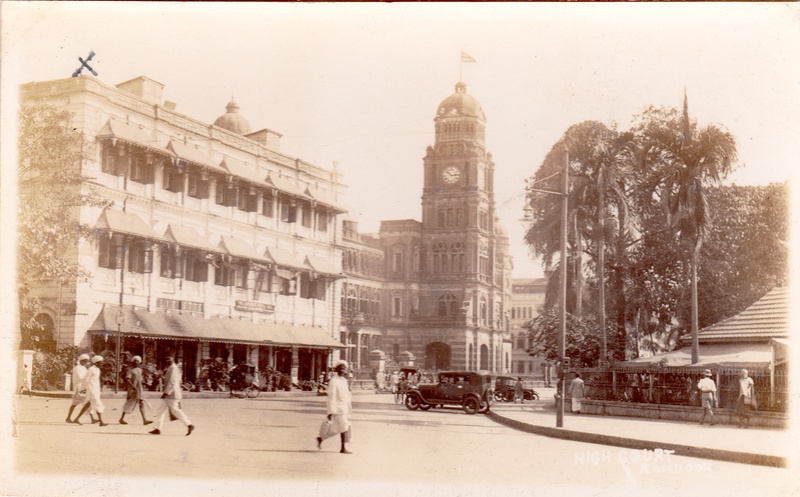 ✑ Stroll along Strand Road and Pansoedan Road, for a glimpse of the greatness of the British Raj. 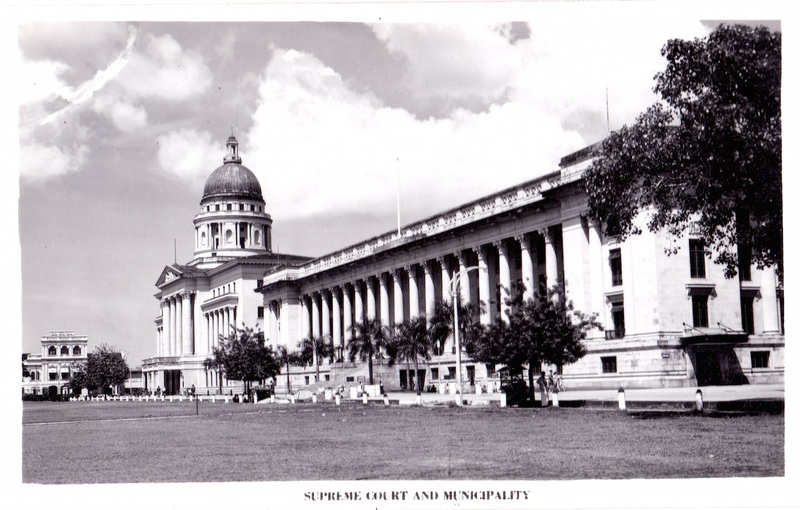 Stand and gape at the monumental civic, cultural and commercial colonial-era buildings that still stand, in particular, the Edwardian-era High Court Building, and the Accountant-General’s Office. ✑ Wander West of Sule Pagoda, which contains Chinatown, Little India and the Arab/Persian/Jewish Quarter. Here’s where you’ll find the greatest concentration of world religions anywhere in Southeast Asia. 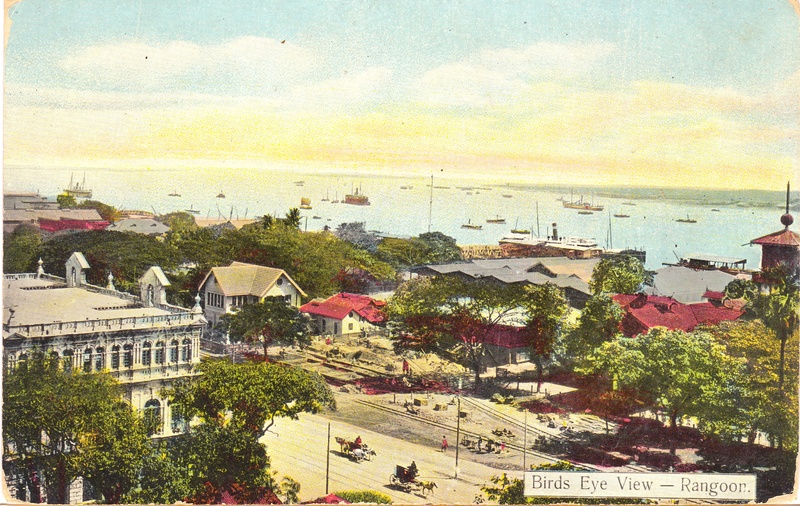 ✑ Explore the languid, laidback tree-lined sidewalks of the suburb of Ahlone, a prestigious district of colonial villas, now housing foreign Missions and Embassies. Pop into the Governors House boutique hotel for a drink at the bar. ✑ Take the wonderfully rickety three-hour journey on the Circular Train to the rural outskirts of Yangon and back. Worth the $1 ticket price just to see the motley crew of locals en route. Be prepared to be crushed in your seat by heaving crowds though. Bring your passport. 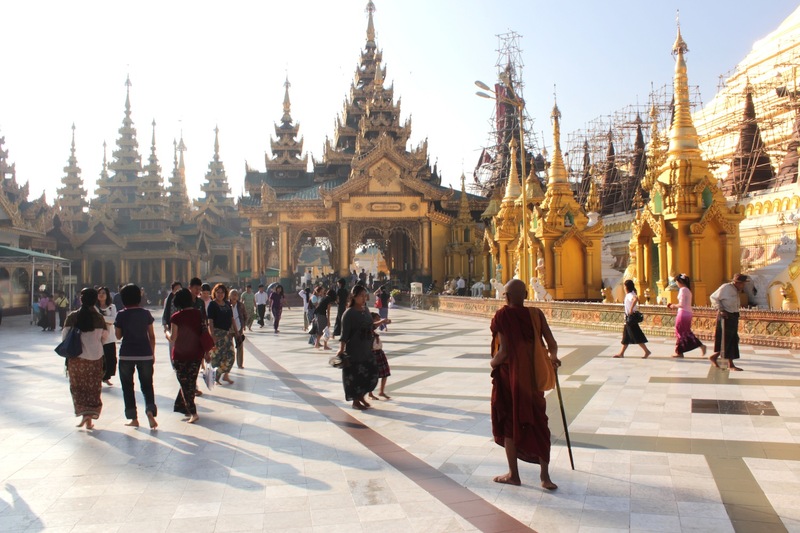 ✑ Pay a visit to the surreal and breathtaking apparition that is Shwedagon Pagoda. Enough said. 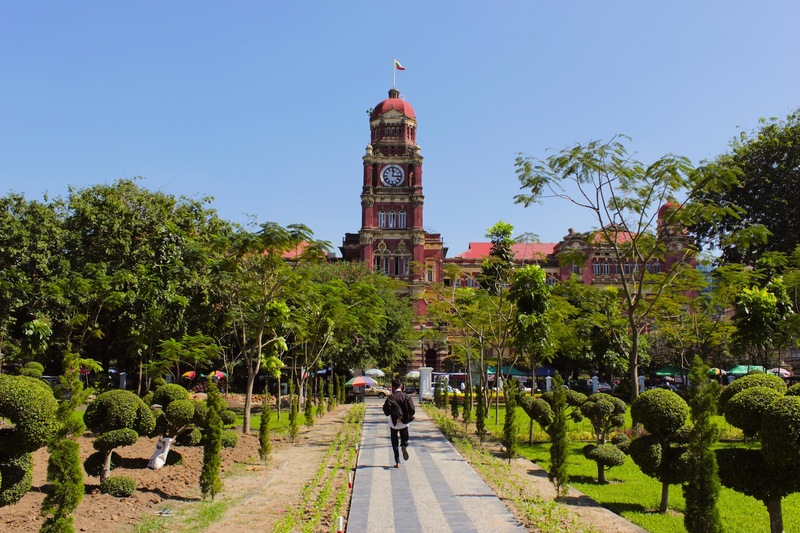 Yangon is breathtaking in its vibrancy and timelessness. Visit it before sweeping political and economic change forces the city to slough its magnificent older skin. 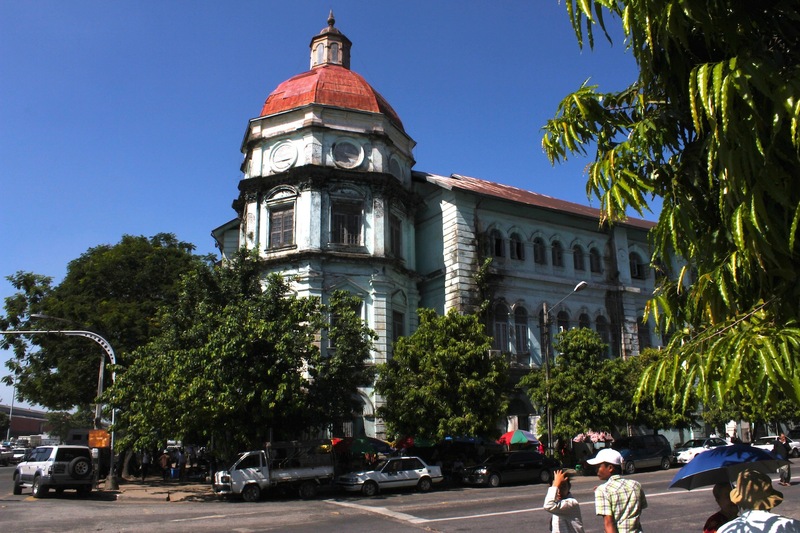 The Accountant General’s Office, at the junction of Strand and Pansoedan Roads. 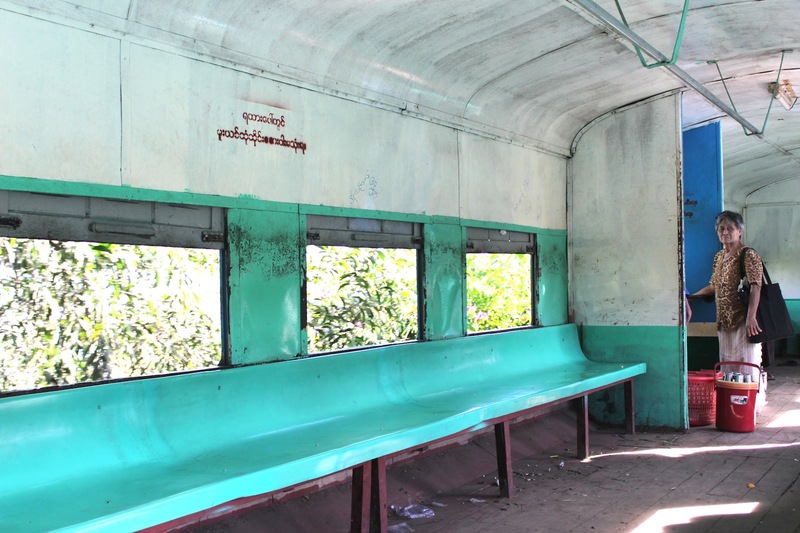 Interior of the Yangon Circular Train, during a rare moment of silence.